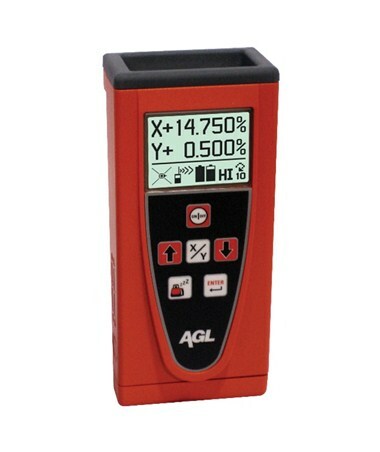 The AGL Remote Control for the GradoPlane 25X dual grade laser allows construction professionals to make grade changes from anywhere on the jobsite. 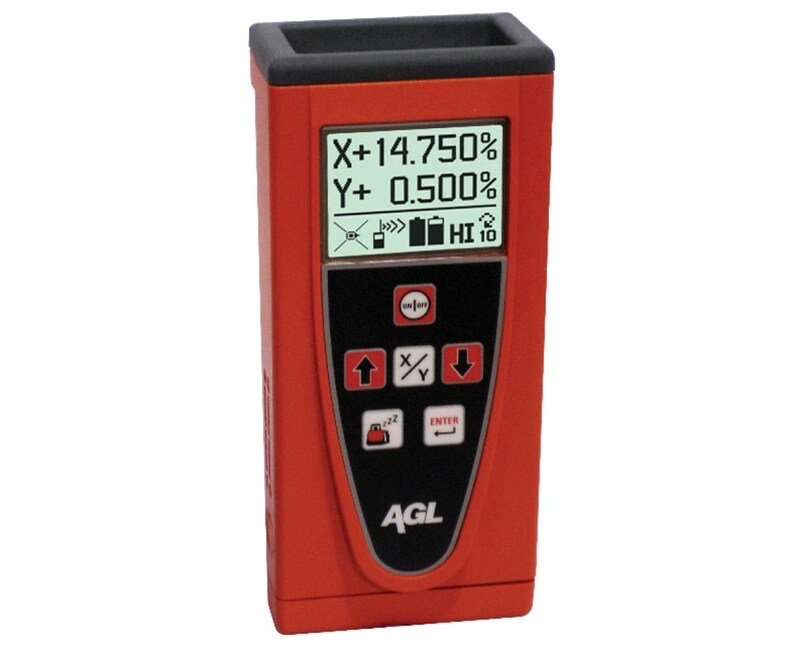 Works up to 750 feet, this two-way remote control has a backlit LCD display and grade and enter buttons that are the same as on the laser, so you can adjust grade from a distance. With automatic shutoff feature, this wireless remote control conserves battery power and allows you to adjust the laser's grade from the cab of your machine, speeding up setup and operation. It operates using four AAA alkaline batteries.